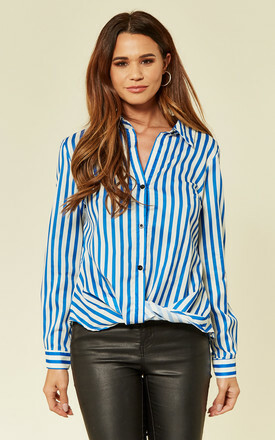 Look and feel stylish this season in this Blue Pinstripe Keyhole Back Shirt! It has a low cut back and D ring detailing. To complete the outfit pair with black skinny jeans and ankle boots.